Floor Area: 9,540 sq. 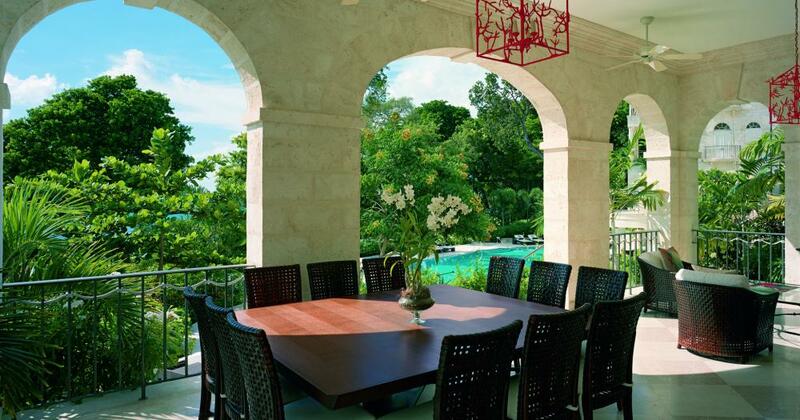 ft.
Overlooking the Caribbean Sea, amid verdurous gardens on the Platinum Coast, One Sandy Lane is an enclave of ultimately private, refined and secure villas exuding an ambience of an unsurpassed opulence. 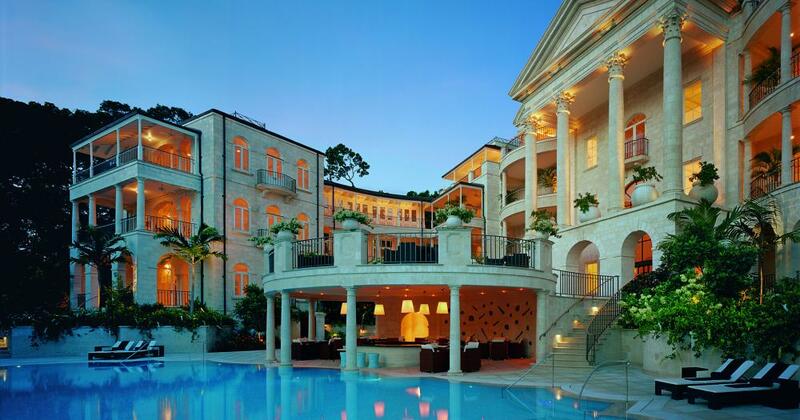 Arguably the most luxurious property ever built on the island, this magnificent compound, replete with eight sumptuous residences, is a convergence of architectural élan and the casual elegance that exemplifies the Barbados lifestyle. 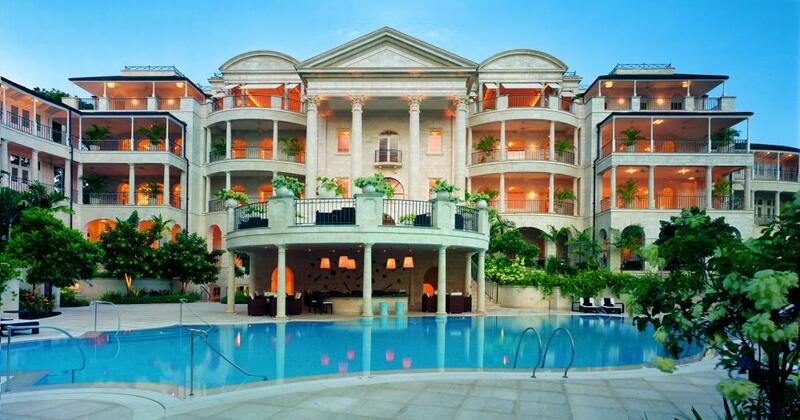 The palatial villas range in size from 8,000 to 9,500 sq. 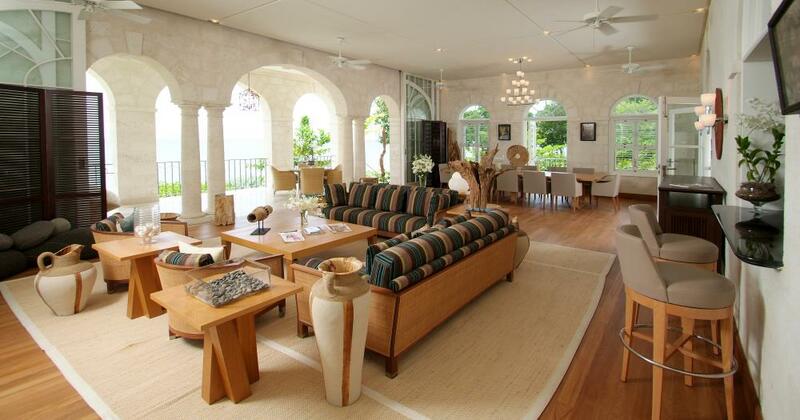 ft.
No detail was spared in the construction of One Sandy Lane; these superlative residences were conceived to emulate the graceful beauty of the Sandy Lane Hotel, located a short stroll away. The interiors feature superb craftsmanship and striking artistry. With its one of a kind lifestyle and unrivalled offerings, these residences represent the ultimate escape – a unique vision providing a rare chance to purchase within one of the most illustrious addresses in the Caribbean. In the ongoing quest for perfection, the marble was selected at the quarry by experts from Bufalini Marmi, then cut and pre-assembled in Italy to guarantee uniformity of colour and vein. 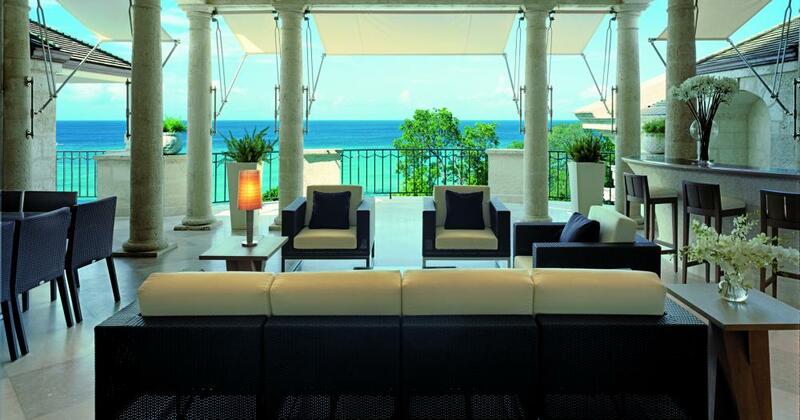 From the moment of its conception, the creation of One Sandy Lane has been undertaken with a rare determination to achieve the pinnacle of excellence in every aspect of its completion. The team that fashioned One Sandy Lane has paid minute attention to detail and utilised the very finest materials from around the world, along with exclusive designs and custom-made architectural features. For example, the elegant white pewter and iron balustrades that grace the magnificent spiral staircase and are found throughout the property have all been manufactured by Les Ateliers St. Jacques of Paris. This eminent French company is renowned throughout the world for executing exceptional renovations of historic buildings, most notably the Palace of Versailles. 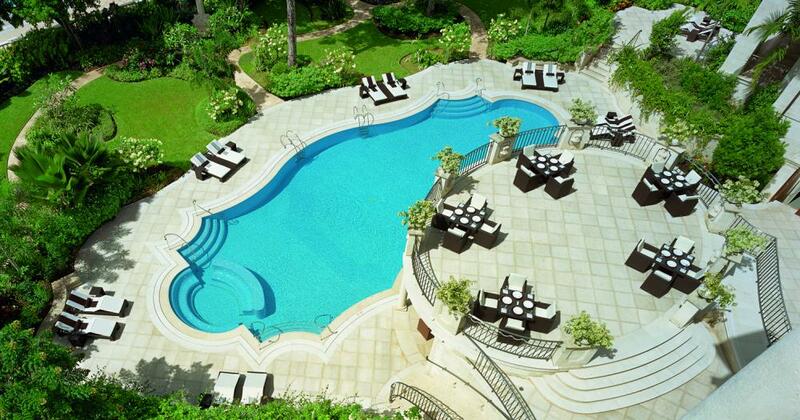 The balustrades have been entirely made by hand and they are unique to One Sandy Lane. 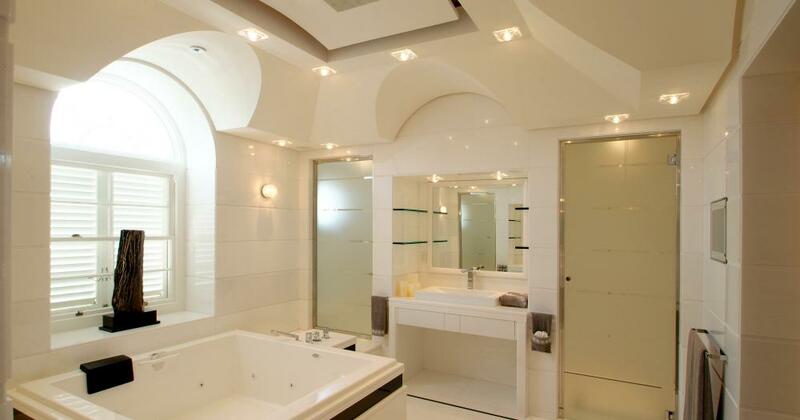 The many beautifully curved and vaulted ceilings are made of traditional French ‘staff’, which is a very special mixture of Plaster of Paris and fibres that can form designs of any shape. In order to deliver the very highest quality, E. G. Deco of Monaco actually set up and operated a complete workshop inside the property for some two years. 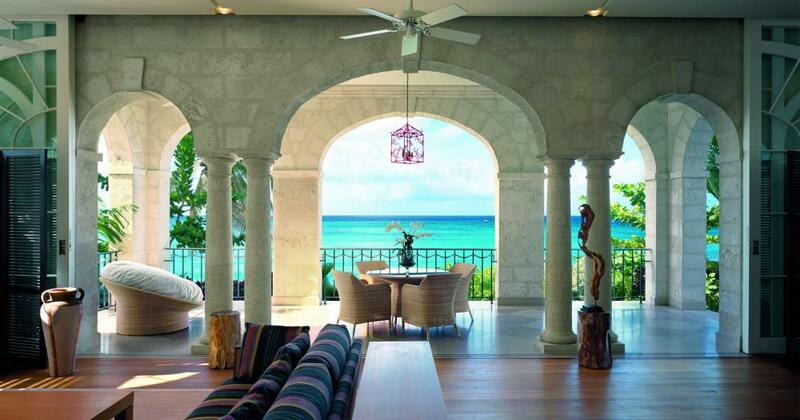 The impressive architecture of One Sandy Lane embraces traditional tropical features such as expansive verandas, timber posts and the use of coral stone. The Barbadian coral stone, carved and shaped by local craftsmen, provides a complementary match for the superb quality Italian marble that is used throughout the building. In the ongoing quest for perfection, the marble was selected at the quarry by experts from Bufalini Marmi, then cut and pre-assembled in Italy to guarantee uniformity of colour and vein. the paint, then applied it with a palette knife, adding as many as seven different layers of texture and tone. The end result of this traditional method is a truly magnificent finish that adds a remarkable visual depth to the décor. 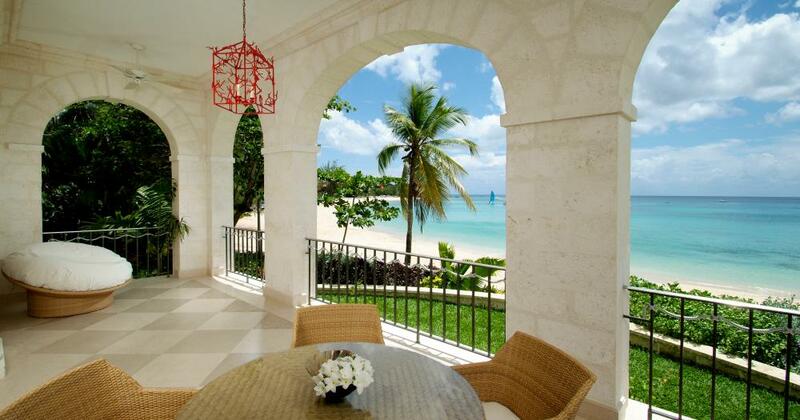 One Sandy Lane has been meticulously designed to ensure that each individual residence is as independent as possible and benefits from maximum privacy. Protected by vigilant but discreet security, and with the benefit of a centralised Security Control Room and secure underground parking, residents at One Sandy Lane can rest assured that their privacy will not be disturbed. 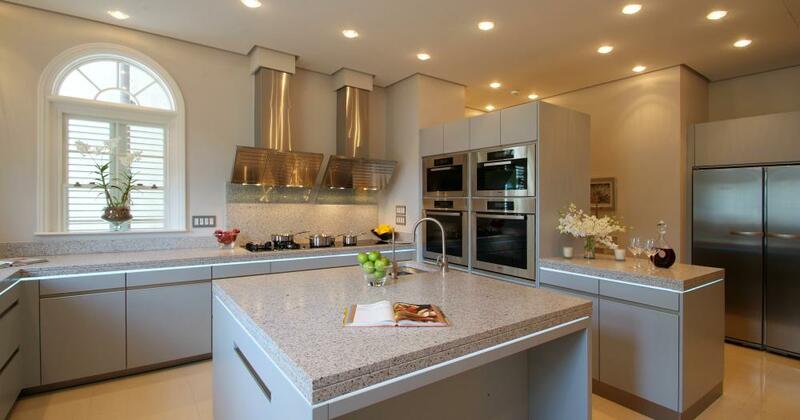 Each of the eight private residences has 8,147- 9,675 interior sq. ft. with five bedrooms, five full bathrooms plus powder rooms, a great hall, a full service Miele Kitchen, and covered outdoor terraces. Six villas on the first three levels have a private pavilion in addition to the main residence, ideal for entertaining, a great room, or a guest suite. St. Jacques of Paris.. The architecture embraces traditional tropical features such as expansive verandas, timber posts and extensive use of coral stone hand-carved by local craftsmen. The marble used throughout was selected and hand-cut by experts from Bufalini Marmi, Italy. Private beach facilities, and peaceful and secure surroundings including a large infinity swimming pool and Jacuzzi, are discreetly positioned in the gardens of the residences. Folkstone Marine Park: experienced scuba divers and snorkelers alike will definitely enjoy the reefs and turtles Folkstone provides. Tennis courts can be found on this ideal picnic venue. Paynes Bay Vendors: every Friday you can catch a sumptuously fresh grilled fish, served with traditional Bajan side dishes. Of course there’s more, the vendors have a variety of Bajan delights including grilled chicken, macaroni pie, rice and peas and to wash it down Bajan rum is available along with other drinks. Paynes Bay Fish Market: one of the smaller fish markets on the island where you can buy fresh local fish or watch as the fishermen dock their boats and offload. Mr. Vic: this is a casual restaurant that is children friendly and is a popular local hangout which dish up a combination of Caribbean/British food. Holder’s Hill Polo Field: known as the main Polo venue in Barbados Polo enthusiast can cheer for their team from November to May. Cariba Restaurant and Bar: internationally trained chefs provide modern Caribbean cuisine with an Asian twist in a traditional chattel house setting. Scarlet Restaurant:‘eat, drink, play’ is this electric restaurants' slogan where superb food, fantastic cocktails and good fun lies.